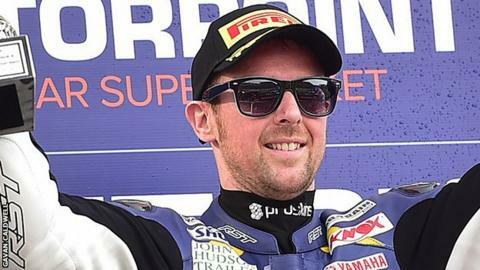 Alastair Seeley took his second victory of the season in the British Superstock 1000cc class at Brands Hatch on Sunday. The Tyco BMW rider from Carrickfergus was embroiled in a race-long battle with fellow Northern Irishman Josh Elliott, who crashed on the final lap. Elliott now leads Seeley by 22 points in the championship standings. Andy Reid had two third places in the Supersport races but Glenn Irwin was eighth in the feature race after coming off in Saturday's sprint event. Profile Triumph-mounted Luke Stapleford won both races and enjoys an eight-point advantage over Kyle Ryde, who was runner-up in both events. Gearlink Kawasaki rider Irwin is now a further 31 points adrift of Ryde, with Traction Control Yamaha racer Reid, from Jordanstown, sixth overall. Carrickfergus rider Irwin led the series going into the sixth round, helped by wins at the previous two rounds at Knockhill and Snetterton. Michael Laverty was fifth in the two Superbike races, both won by Josh Brookes, and lies seventh in the series standings. An enthralling duo in the Superstock outing saw Seeley and Elliott dive past each other lap after lap, coming together on a couple of occasions, but it came down to the last lap, with Seeley holding the advantage. Seeley was pushing hard, running wide on the exit of Stirlings which allowed Elliott to pull level on the run down to Clearways for the last time. The pair braked late but Elliott was the later of the two. He ran in hot, past Seeley but ran out of track. hittingnthe gravel trap at speed and crashed out to hand the win to Seeley after a brilliant contest.